So, you've found your way to the website, but are a little confused about its use and different capabilities? This guide can help! It will go over the different basic functions, capabilities, and settings of this website. If you have any questions, comments, or suggestions, feel free to post them here! FYI: Also, returning members, please post HERE! You will need an account on the website to access different pages and links. You can do so by clicking the Sign in or SIGNUP buttons in the top right hand corner of the screen. If you click SIGN UP, you will be directed to the page above. 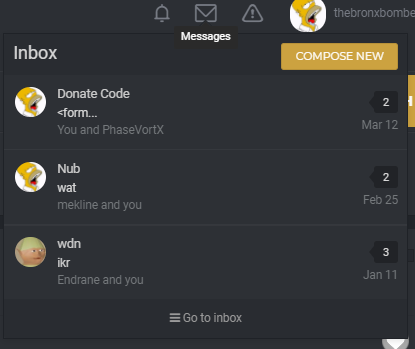 You can signup using a traditional email address, username, and password, or you can signup using our Discord integration service (orange-circled button). 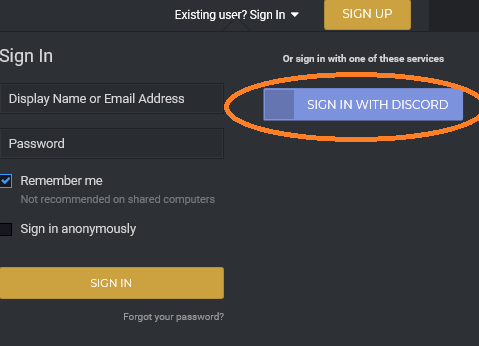 If you click the sign in option, you can enter your email address/username and password to signup if you have one (if not, you can request one from a website admin if you signed up only using Discord before) or you can sign in using the Discord integration service (orange-circled button). 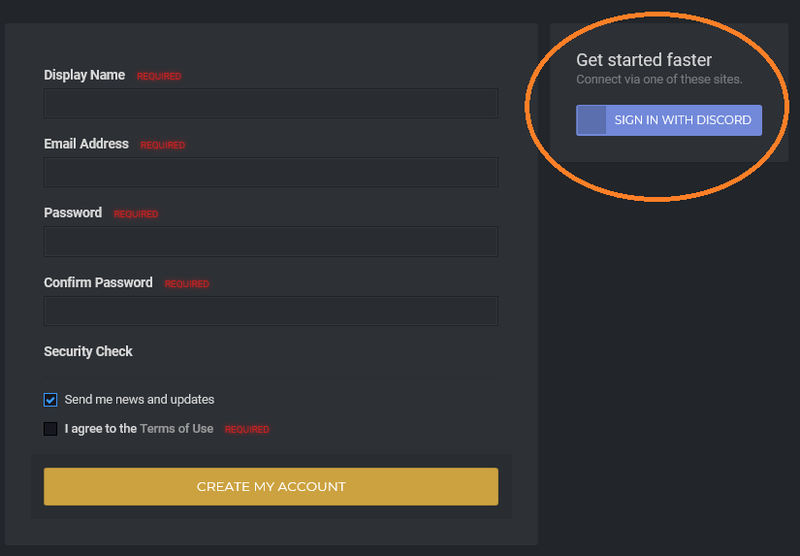 If you signin/signup using Discord, you will be redirected to a Discord authentication web page where you log in using your Discord email address and password (make sure it's the RIGHT Discord username and password that you're using on our server--it's one of the most common 'issues' regarding the Discord integration service). Next to each post, you'll have the country flag of the country you're living in, your name, any special titles you have, your avatar, rank, rank icon, reputation count, content/post count, Team you are a part of, awards, clubs you are a part of, and links to social media and gaming platform profiles you have synced to your account. If you click the bell icon in the top right-hand corner of the screen, your notifications list will appear. You will get website (with the option to make it a "browser notification") notifications regarding replies to post, awards, club membership, events, etc. You can change how (email or website notifications, or both) you receive notifications in the settings menu. If you click the envelope icon next to notifications, a shortened version of your inbox will appear. Here you can send messages between registered members (1 or more) on the website. If you click the drop down arrow next to your name in the top right-hand corner of the screen, your settings menu will appear. 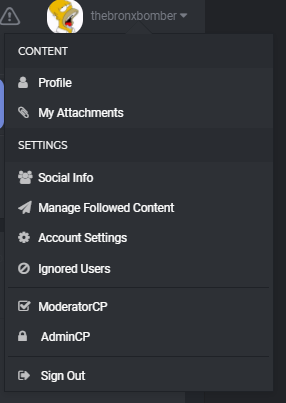 Here you can view your profile, the attachments you've uploaded, edit your social info, and of course change account/notification/user settings. This is what you see when you or anyone else goes to fighting13th.com . From here, you can get to most areas on the website with just a click or two. 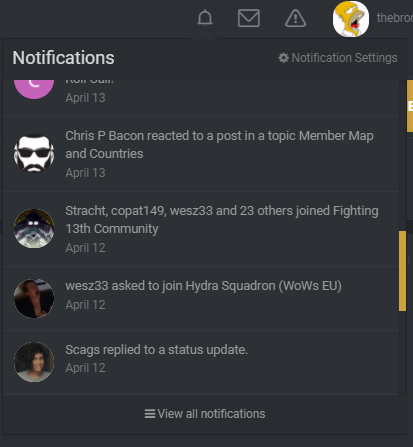 Of note at the top are the different pages and links within the Navigational Bar menu at the top and the Discord-blue DISCORD button which will let you join our Discord server. These links and their purposes are laid out below. Also on the front page is the home page slider which will display a combination of news, general information, and anything else big enough we would like to catch members' and site visitors' attentions. 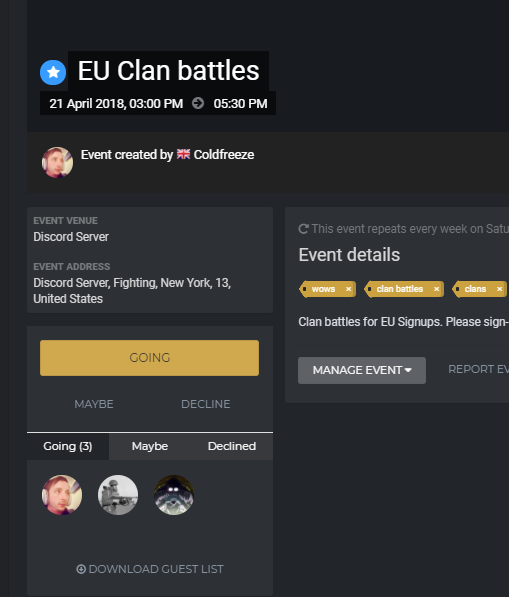 And if you'll scroll down the page, you'll see our Discord server status (and who is in which rooms), an events list, recent forum topics list, and who is online on the website. Well, this doesn't really matter to you personally since you're reading this which means you're already a member. However, should you have to instruct new applicants on how to join, this will be useful. If a person is visiting the website and knows for sure he/she is wanting to join, direct them to the join (easy to remember...fighting13th.com/JOIN) page, accessible by clicking the giant, yellow "JOIN THE 13TH" button in the top right portion of the navigation menu bar. Applicants will have to apply and will have to get in contact (or vice versa) with the officer(s) of the company/squadron he/she is trying to join, and so forth. One of the website's main purposes is to serve as a centralized hub for all our static information (information that does not normally or regularly change; i.e. structure). 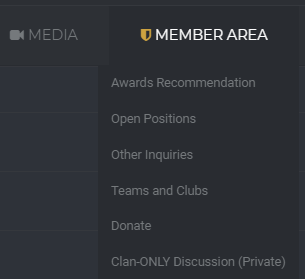 On the drop down menus are a number of different pages you can click to garner information pertaining to topics such as our history, our rules, Discord info, etc. As the community matures, more and more information pages will be added--a wiki of sorts. Check out our current Awards list here. You can see what our awards are, basic requirements for them, and who all among community has earned which awards. If you feel you or another member is deserving of an award(s), submit an Awards Recommendation form. 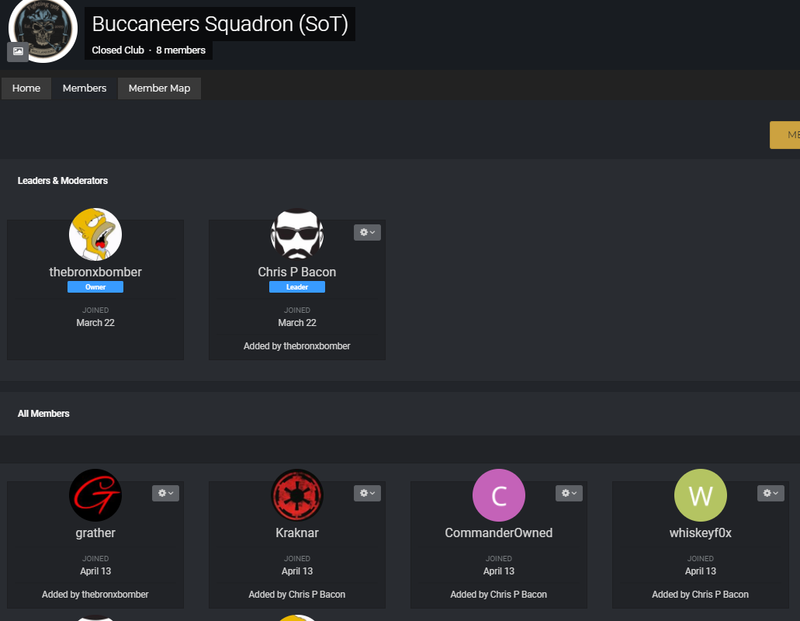 Rosters are being handled by the website's "Club" function. 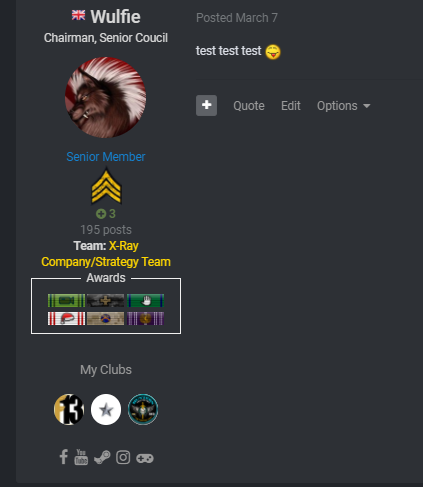 Each Company/Squadron has their own roster and home page to showcase important info, accolades, links, etc (though most are still under construction). Events are managed by the Calendar system. Events can be created by anyone. Anyone can join (RSVP) any event by clicking the actual event and clicking 'GOING." 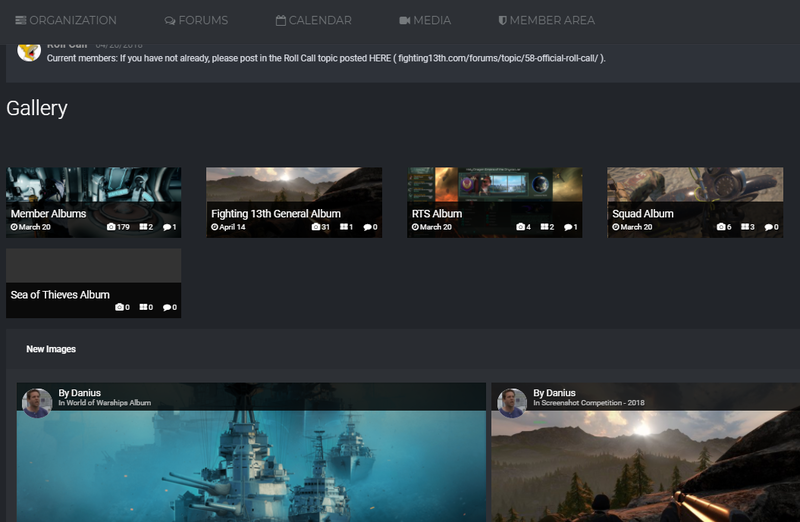 The forums has a discussion area for any topic that you desire, though it is intended more so to be a discussion area for long-term, in-depth, community-wide, and posts which would otherwise be very cumbersome to post on Discord. The Member Area dropdown tab is viewable only to Community Members who are logged in to the website. Links within the dropdown menu are so important and community member-only links and pages can be easily accessible to you.